Living life along with eating right is very important espcially for kids and students. Eating right is at the center of our overall well-being – physical, mental and spiritual. Our eating habits are created in our earlier years and our body forms around these habits. It gets used to certain types of foods and builds its resistance and ability to survive various bacteria, viruses and attacks by diseases that are usually sourced by the elements of nature. To build a healthy adulthood and a subsequent old age, living a healthy lifestyle is key. 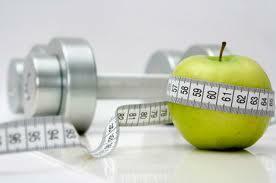 Healthy lifestyle comes from eating right and timely exercise. Various cultures advocate various methods of consuming the right foods – based on the climatic conditions, geography and various other demands of nature. Majority of the cultures will not disagree that eating food coming from nature is the cornerstone method of a healthy lifestyle. Fruits and vegetables must be added to the staple diet by default. Healthy and lean meats provide key protein and various amino acids necessary for our body. I would like to talk a little about baking healthy eating into our lifestyle. In our busy days at work, keeping some raisins, almonds dry fruits goes a long way to have a healthy balance of necessary nutrients getting into the body. At least eight glasses of water should be stored on your desk one way or another and consumed by the end of the day. These simple measures ensure a sustainable model to keep a healthy body. 35 minutes of cardiovascular exercises 3 times a week will do the job of keeping the body fit for resistance against germs and general mental well being. When we exercise our body, we exercise our mind and brain. This helps our focus, memory and concentration especially for students who are preparing for competitive exams like GRE, GMAT, Medicine etc.. Being socially active also is considered a necessary facet to a healthy lifestyle. Social activity stimulates a healthy mind and promotes progression of the general being. At the center of it all is eating right. This cannot be compromised if one desires to live a long and healthy life.